Island-hopping is the best way to have a proper adventure in one of the most visited tropical destinations in the world. 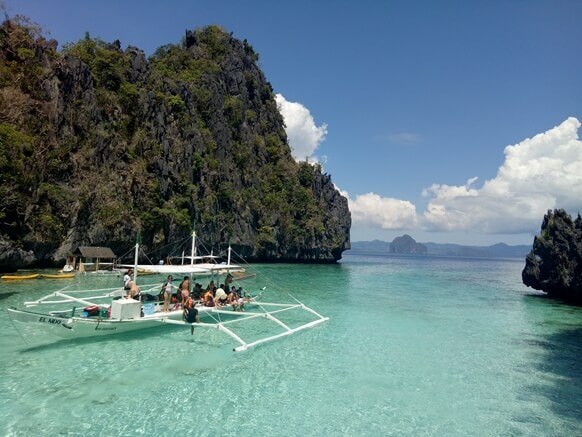 This activity makes you realize why El Nido is such a tropical paradise - you can't go home without taking one of our exclusive island-hopping tours. 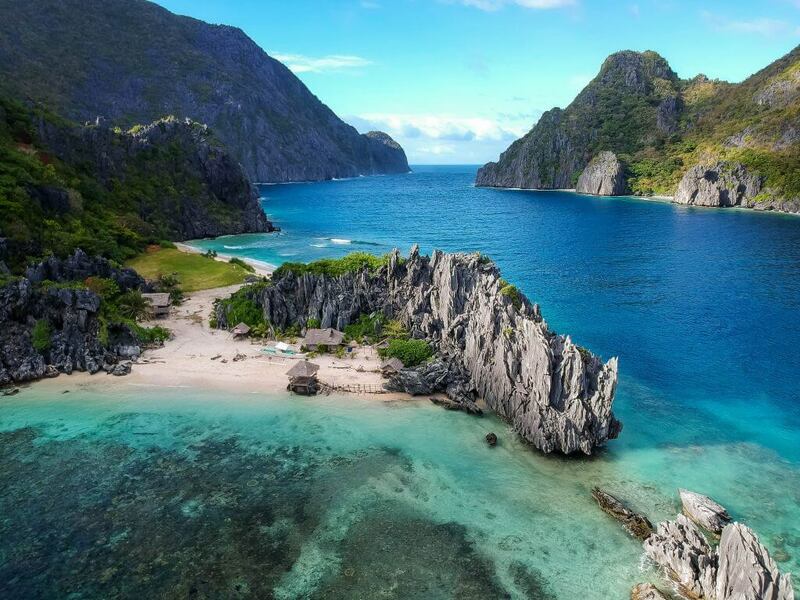 The El Nido island-hopping tour takes you on a journey to the beautiful islands and stunning places around the Bacuit Archipelago. Explore mysterious lagoons, visit pristine beaches, bathe in emerald waters, and witness the rich marine life that thrives underneath. More and more tourists from around the world are getting to know this little island gem, so we now offer private El Nido island-hopping tours that you can enjoy only with your friends and loved ones. These tours let you explore the islands as you wish, away from the crowds. Charter a speedboat or a traditional Filipino outrigger boat called a Banca. With the speedboat, you’ll arrive early to Bacuit Bay’s iconic spots, from magical lagoons to pristine island beaches. The local boat captain will take you on an island-hopping journey free from the crowds of tourists and noise of other boats. Relax and travel in comfort as you cruise around marveling at El Nido’s natural wonders. Island-hopping on a Banca is the most popular way to go! A Banca is a double-outrigger boat widely used by fishermen around the country and popularly used for sea transport and inter-island connection. This is an economical option and a more culturally immersive experience. Traveling by Banca is the most fun way to really experience the Philippines. Enjoy this unique experience as you stare in awe at the marvelous beauty that surrounds you. 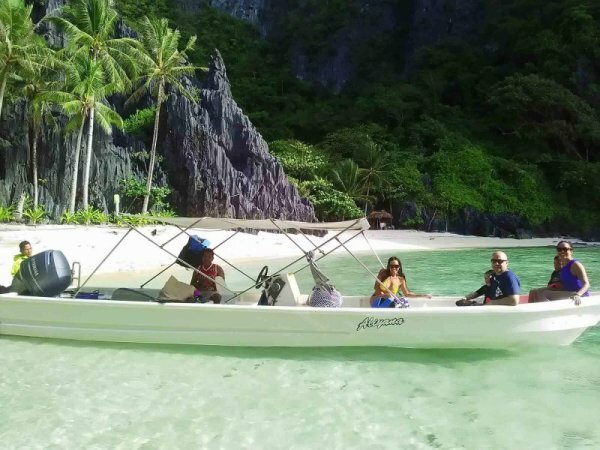 Please note that we usually cater only to those booking private El Nido island-hopping tours, either on a speedboat or Banca, and whole-trip itineraries. However, we can be flexible depending on your travel preferences – it is your trip and your design. Let us know if you wouldn’t mind being part of a group tour in a Banca. Please expect more tourists at the sights as these group tours go out to sea all at the same time.